Revlon So Fierce Vinyl Eyeliner ($7.99) is hew long-wearing glossy waterproof eyeliner that launched in several shades in the UK several weeks ago and are now just popping up in drugstores here in the US. At the moment we have three standard shades. 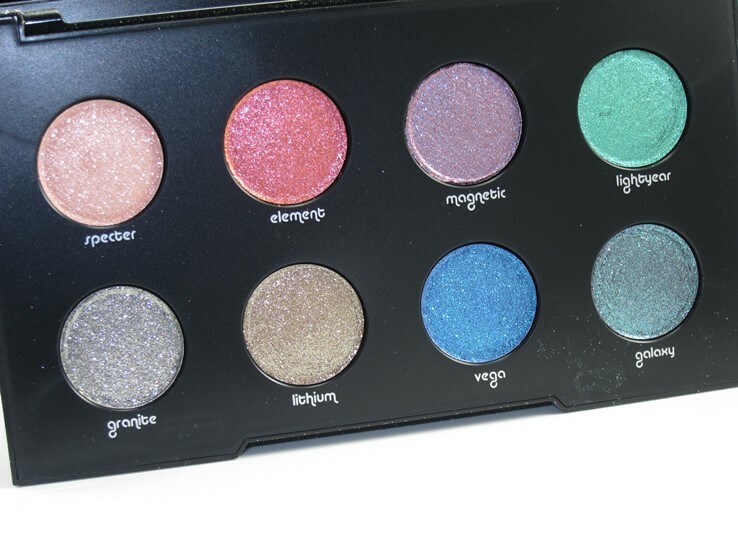 I haven’t seen any of the colorful shades that the UK got in stores but amazon.com is selling some of them but sadly, a lot of the shades I want are sold out. I’ve been searching for a replacement eyeliner for my beloved Urban Decay Perversion and my HG, L’Oreal Silkissime Eyeliner. I am convinced that the formulas has changed on both of these. Perversion used to be sooooo creamy and so easy to apply. I barely had to touch it to my eye! It practically applied all by itself! Likewise for the Silkissime. Nowadays, the formulas on both don’t seem as creamy or as glossy and they seem to tug during application. Anyway, I’m pretty determined to find a replacement so when I saw the Revlon So Fierce Vinyl Eyeliner at the drugstore I decided to give it a whirl! As I said above Revlon So Fierce Vinyl Eyeliner is available in some pretty wicked shades across the pond but the display at my drugstore only had three shades. Hopefully we’ll see more of those as we near Summer. I paid $7.99 for mine and it’s 0.042 oz in size.